BioZyme® offers many great products for all phases of production. But some producers get comfortable with one product, and don’t always know how to transition to include other products. And sometimes, the new products seem overwhelming. However, with some engagement with your customers, and discussing the benefits of the Amaferm® advantage through all phases, you can expand your marketing to a program-based approach. Matt Weigel, owner of Darlington Feed & Ag Center in Darlington, Wis., said he works closely with his producers to make sure they understand each step of the feeding process. For instance, he said the dairies he works with all incorporate Amaferm Digest More® in their feed. When Weigel asked if the producers were pleased with their calf feed, they said yes. Then he suggested the Vita Charge® Stress Tub to help them wean better and stay healthier. And the dairies liked them as well. Of course, they all start their program with Vita Charge Neonatal. He said he is on the dairy farms that are his customers at least every week or every other week to make sure the customers get their questions answered, and to fix any problems before they surface. 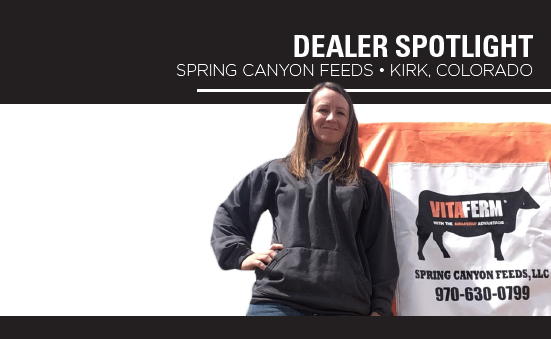 Although his store represents other products lines, he truly believes in the Amaferm advantage and uses the VitaFerm products on his own cow herd. “I wear my VitaFerm hat! We really promote VitaFerm because we know it works. I try the products on my own animals and they work. I like them, and I can promote them,” he said. 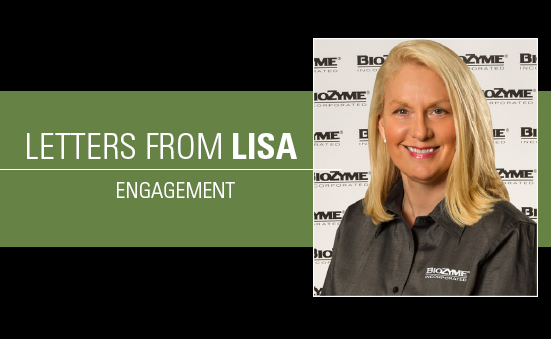 Another way that Weigel works to engage with his customers and promote products is to take advantage of the assistance the BioZyme Marketing Team and his ASM provide. 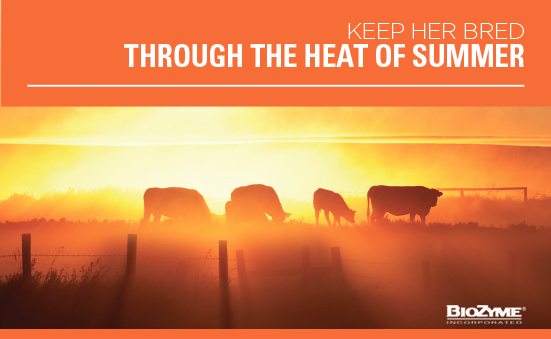 In 2017, ASM Trent Gabler worked with Weigel and the Marketing Team to create a postcard mailing promoting VitaFerm HEAT® to those producers who use Concept•Aid®. Darlington Feed saw a significant increase in their HEAT sales after that mailing, according to Gabler. Finally, Weigel said he’s not afraid to use other customers as references. He’ll share the results that ‘Joe Smith’ had when using a product and he said other producers have the mindset that if Joe Smith had great results, then I should try it too. Using products, proactively making farm visits and sharing testimonials are great ways to engage and promote products. Offering a trial product might cost a little initially, but the returns will pay off in the long-term. 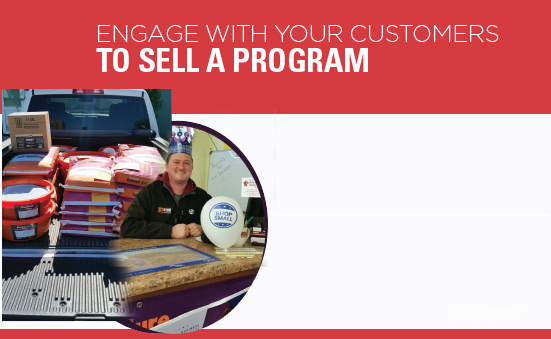 Getting customers to use a program and not just one product will also pay dividends and keep that customer active all year long. Look at the big picture, and sell the program. Without customers, business survival looks bleak. There are two key ways to grow your customer base and subsequently grow your business. First, don’t lose your current customers. And secondly, recruit new customers. These are customers that the business has already recruited, mostly likely sold to at least once, but simply didn’t follow up with through simple engagement. Twenty-percent adds up over time, and if a business doesn’t work to recruit new customers, it won’t be long before the business no longer exists. Get Referrals. One of the best and most cost-effective ways to gain new customers is through referrals. But more importantly, referrals are a way to continue interaction and communication with your current customers, while building relationships with new customers and clients. Communication and interaction is vital to long-lasting relationships. As with any project you need to set your goals first. Do you want to gain a new customer each day? Two per week? Ten per month? Be realistic in the amount of time you plan to devote to recruiting new customers. And remember, while recruiting new customers is important, keeping the lines of communication open and engaging with your existing customers is important to keeping them happy and keeping them returning. And if you don’t offer an incentive, do show appreciation. Those two little words go a long way and give you one more opportunity to interact with current customers. Schedule the calls. Set aside 30 minutes a day for a week to make new customer calls. If those calls only take 15 minutes each, you can make two calls a day and engage with 10 potential customers. Even if half of those people purchase product, you’ve gained five new customers in a week. Follow that pattern, and over time you’ll have 20 new customers in a month and watch that revenue soar. And surely over time, those 20 customers will have friends that they will be glad to refer too. Keep communicating. It doesn’t matter if it’s a new customer or long-time customer, keeping the lines of communication open are key to retention. Create a communications calendar where you follow up with each customer on a regular basis. Contact them to see if they need any products, follow up after the sale to make sure they are happy with their products and reach out to them in between to see if they have any general questions or just to see how their lives are going. Customers like it when you are interested in them and engage in their activities. Referrals are great ways to build your customer base. Remember to keep those lines of communication open between both current and new customers and watch your business grow. Customers are the lifeblood of our business. Without their success and their repeated business, it is likely that our business isn’t going to succeed either. As dealers, we need to consider ways to help them succeed and then recognize their efforts. First, we need to know our customers and understand their goals. Recognize what their individual production schedules look like and what their ultimate goals are. Do they sell their calves at weaning time? If so, you probably don’t need to push the VitaFerm® Gain Smart® product line to them. Do they compete with their horses or livestock? Then perhaps the Vita Charge® Paste or Vitalize® Equine Recovery Paste needs to be a staple in their show box. Customer success isn’t just about selling products; it’s about providing services and motivation to help them succeed. Do you have a customer that is offering the same mineral program year after year because “that’s how granddad did it.”? If so, perhaps you need to suggest forage testing their hay and offering some alternatives to a more updated supplement program that will better fit their current operation. Maybe the customer didn’t know you offer forage testing and feed analysis. Once they discover the supplements they really need, they might even discover they are saving money over time. If you create an environment for your customer to succeed, they are more likely to succeed and become loyal customers. But what happens when your customers find success? Congratulate them as soon as you can, and in person if possible. If you don’t think you will see them in the store or at their ranch for a few weeks, pick up the phone or drop them a hand-written note expressing your happiness for them. The fact that you noticed their achievements will go a long way in their customer satisfaction and your professional relationship with them. Be sure to not only congratulate them, but to let others know about their achievements as well. Customer achievements can range from having a successful production sale to selling the Grand Champion Barrow at a recent livestock show to having a child get accepted to the college or university of his or her choice. Once you know of these success stories, start sharing them with others. There are several ways to share these stories. Use a bulletin board in your store that allows you to “brag” on your customers. You can post newspaper clippings here. 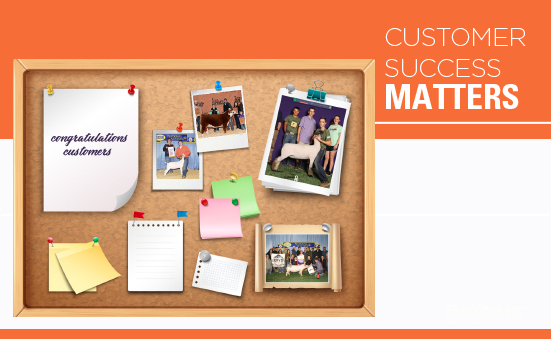 You can ask your customers to submit their photos and accomplishments to you to post on the bulletin board. People like to see what others in their community are doing, and it makes them feel good to be recognized for their successes. Take that recognition to the next level. Perhaps you distribute a company newsletter or have a Facebook page. Share your customers’ achievements on these venues so more people see them, especially if they relate to success with your products. Producers will buy a product based on peer-success and not just because a sales person said it works (read more about this in Tell Everyone). If you create an environment for your customers to succeed, and they succeed, they will likely become repeat customers. They will also tell others about their successes, and if you tell others about their successes, your business will continue to grow. Engagement is needed from everyone for success – employees, customers, dealers, partners and the organization. The inset definition clearly shows that engagement can mean a lot of different things. And while April is Bob’s and my anniversary month, I do not consider myself any kind of expert on a formal agreement to get married. I am also routinely late, so understanding an arrangement to do something or go somewhere at a fixed time is not up my alley either. And my Mom always reminded me while growing up that if you can’t say something nice, don’t say anything at all. Therefore, just the mention of a fight or battle leads me to want to quit writing about that type of engagement. So, the only definition left is the action of engaging. We all know I believe ACTION is the key to everything so engagement when it means action is right up my alley. To be engaged is to be fully absorbed and enthusiastic to the point one is easily and innately self-motivated to do the positive action needed for success. 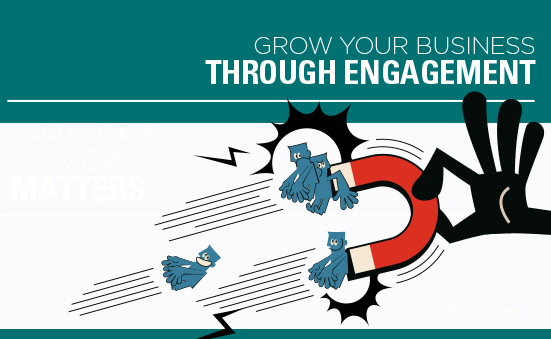 A recent Gallup study indicated that when their clients actively pursued engagement, success soared to a ratio of 9:1 from 2:1, engaged to unengaged. Perhaps that’s why engagement’s use in the inset graph is moving up. An inclusive passion for WOWingness (internal & external). Engagement is needed from everyone for success, but don’t diminish your role as the leader. Consultant Keith Ayers stresses that the role of great leaders is to get people excited about and committed to their organization’s vision. He explains: “Leaders are either increasing engagement, or they are decreasing it. There is no middle ground.” Don’t let yourself get stuck in the middle!